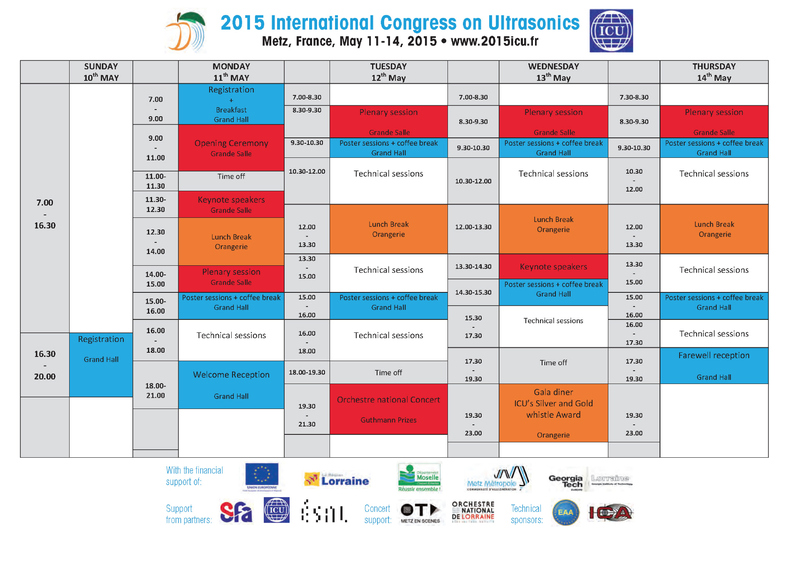 Welcome to the website of the 2015 International Congress on Ultrasonics (2015 ICU Metz), hosted by Georgia Tech Lorraine in collaboration with the French Acoustical Society. It is with thankfulness to everyone at all levels who have been involved in the realization of the scientific and social program that we are offering you a congress final website with report and photo album. It is equally with sincere gratitude that we thank all participants and sponsors without whom this week would not have been possible. The 2015 International Congress on Ultrasonics is part of a long tradition and sequence of congresses, dating back to 1993, including the WCU (the World Congress on Ultrasonics), UI (Ultrasonics International) and „UI+WCU“ later renamed as ICU. The event takes place every two years. For 2015 ICU we have welcomed 700 participants from 53 countries, 612 were active participants from the field of ultrasonics, 88 were visitors or accompanying persons; 30% were students. During the congress, we’ve enjoyed 542 presentations, i.e. 410 oral presentations and more than 170 poster presentations. In total we had 67 scientific sessions (spread over 95 periods) with a maximum of 10 parallel sessions. A 104 scientists have served as session co-chairs. The congress was sponsored by 9 industrial sponsors. The congress had invited 9 Plenary and Keynote Speakers. In total a number of 645 abstracts had been submitted to the congress, 89% of them were of sufficient quality to be accepted for presentation. During the ICU congress we also welcomed the 12th AcoustoFluidics Congress organized as an integral part of ICU by USWNet, the Ultrasonic Standing Wave Network. In addition a special session on Acousto-Optics was devoted to the career of Oswald Leroy. 38 participants have enjoyed our touristic program during the congress week. Young researchers have been awarded with the R.W.B. Stephens Award by Elsevier, while the ICU offered a Gold Whistle Award and 2 Silver Whistle Awards. 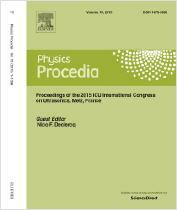 Congress proceedings are published online in Elsevier’s Physics Procedia. The location of the congress has been the Arsenal of Metz, France. 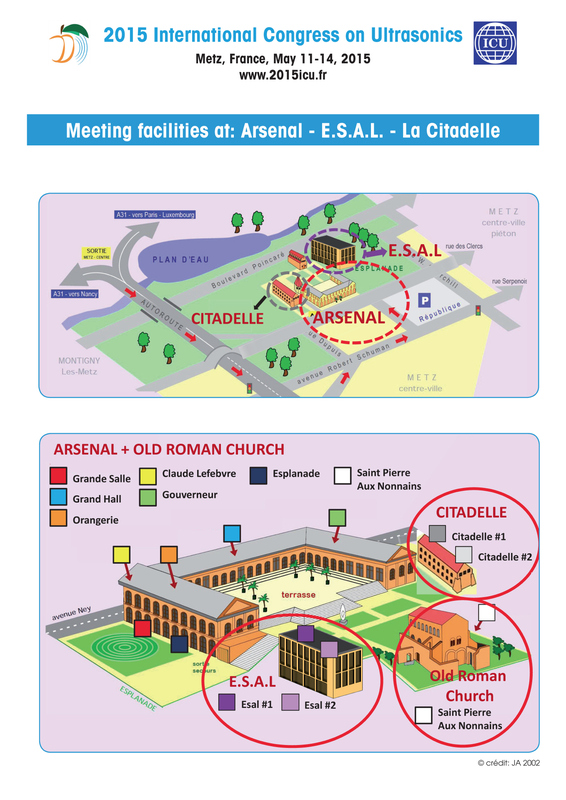 The Arsenal is a cultural venue dedicated specifically to Classical and Erudite music and is located near the Esplanade garden in Metz, capital of the Lorraine region, France. In September 2010, Classica magazine listed the venue among the 20 most beautiful concert halls in the world, qualifying the Arsenal as an ‘acoustic diamond’. The Arsenal is part of a cultural complex along with the chapel of the Knight Templars, constructed in the 13th century; the ancient Saint-Pierre-aux-Nonnains basilica, a Roman basilica of the 4th century, refurbished as showroom and concert hall for the Gregorian chant, respectively. Our social program consisted of an opening ceremony with a musical performance by Françoise Vanhecke on Monday morning, a Welcome Reception on Monday evening, a Musical Concert on Tuesday evening, a Cocktail and Gala Dinner on Wednesday evening and a Closing Ceremony on Thursday afternoon. Special thanks to our sponsors : ARCELOR MITTAL, INSPECTION TECHNOLOGY EUROPE BV, KIBERO GmbH, MISTRAS Products & Systems, OLYMPUS Corporation, POLYTEC, PVA Tepla, S-SHARP, XARION Laser Acoustics and Institut de Soudure. Last but not least I would like to personally thank the GT Lorraine staff and the French Acoustical Society for their logistic help in organizing the 2015 ICU congress in Metz. 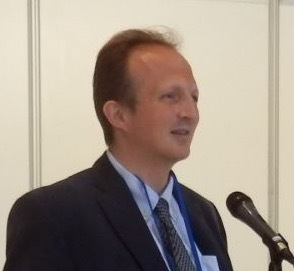 The congress was made possible with financial support of FEDER, Conseil Régional de Lorraine, Le Conseil Général de Moselle, Metz Métropole. The ultrasonics community and the entire board of the International Congress on Ultrasonics regretfully learned that Leif Bjorno has passed away five months after the congress, namely on October 24, 2015. ... Also, on June 23, five weeks after the congress, Maurice Declercq, father of the congress' president passed away very unexpectedly. Or check out the navigation tree. are requested to notify the congress President well in advance of disability accomodation needs. The Ultrasonic Standing Wave Network holds its 12th AcoustoFluidics Congress during the 2015 ICU event. Participation is possible by subscribing to 2015 ICU.